I don’t even know where to start with this race recap. 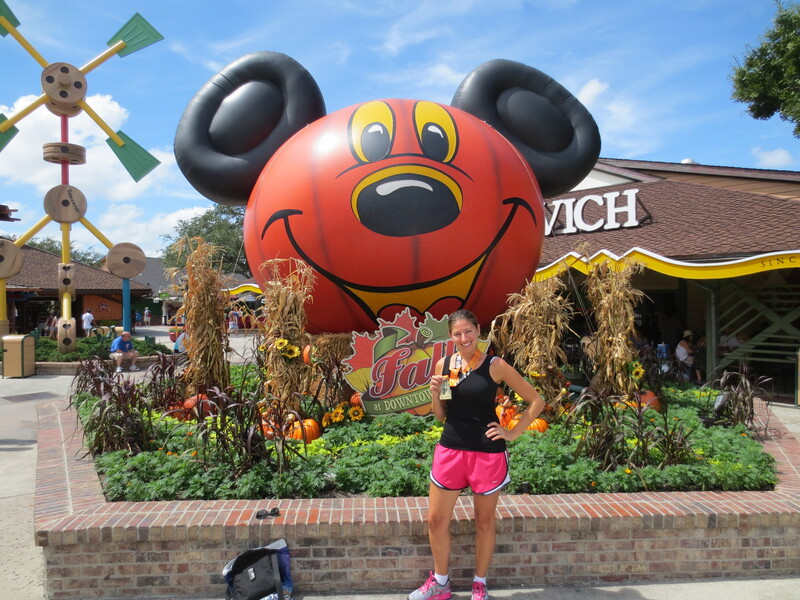 I think my first problem was that I wasn’t really treating it as a “race”, I was treating it more like “I’m down in Disney for a long weekend and hey, why not pop in a quick 10 mile run on Saturday night?”. Not a good plan. 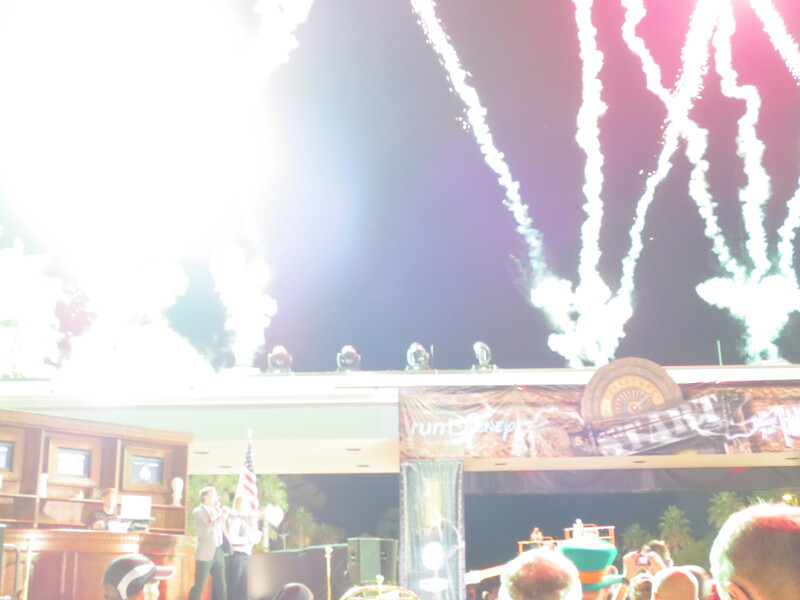 Let me break it down for you so you can reference this as a “What Not To Do Before Running a Night Race” guide. I know what you’re thinking…mistake #3. 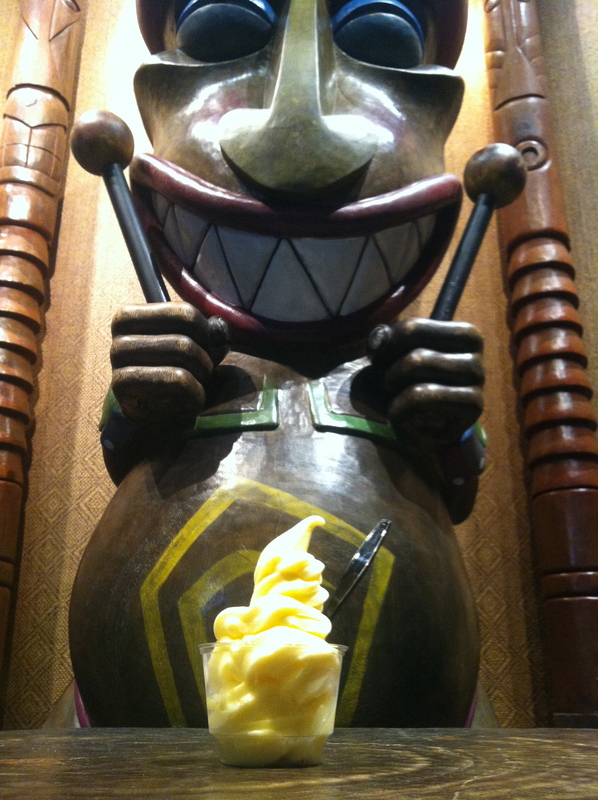 But no my friends, a Dole Whip is NEVER a mistake! Dole Whip on race day is a non-mistake I would definitely make again! 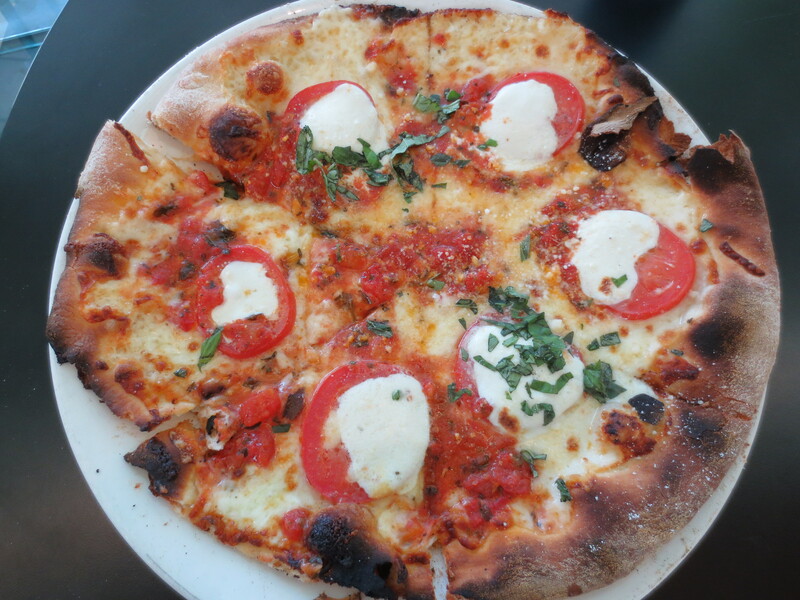 We’re going to call this mistakes #3, #4 and #5- 1 mistake for eating so late, 1 for eating an entire pizza before running 10 miles and 1 for walking all the way to Downtown Disney and back right before a race. Since I wasn’t staying at a host resort I took a cab to the ESPN Wide World of Sports and then hopped on a bus to the race start, I got there around 7:30pm which was a lot earlier than I was hoping (mistake #6), I definitely had too much time to kill. So, I took some pictures! 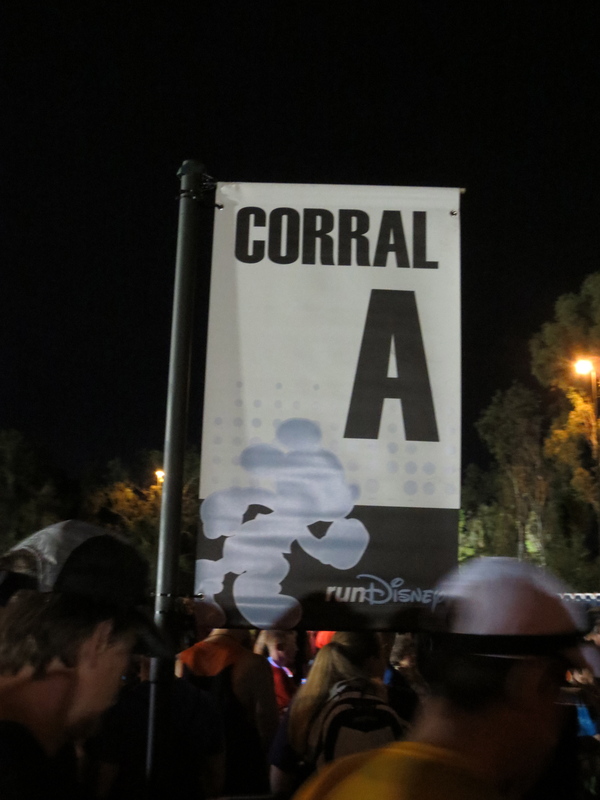 …and then each corral was moved up to the starting area (about a 10 minute walk from where we started). At this point I’m thinking “man I’m tired” and “hopefully I’ll wake up once we start running” and “hmmm…I’m feeling pretty good, not like I just ate a whole pizza a few hours ago, let’s hope it stays that way!”. And then before I knew it, it was 10pm and we were off! About 5 minutes into the run it started to go downhill REALLY. QUICKLY. I realized that even though it didn’t feel hot when we were standing around waiting as soon as I started moving I was drenched. 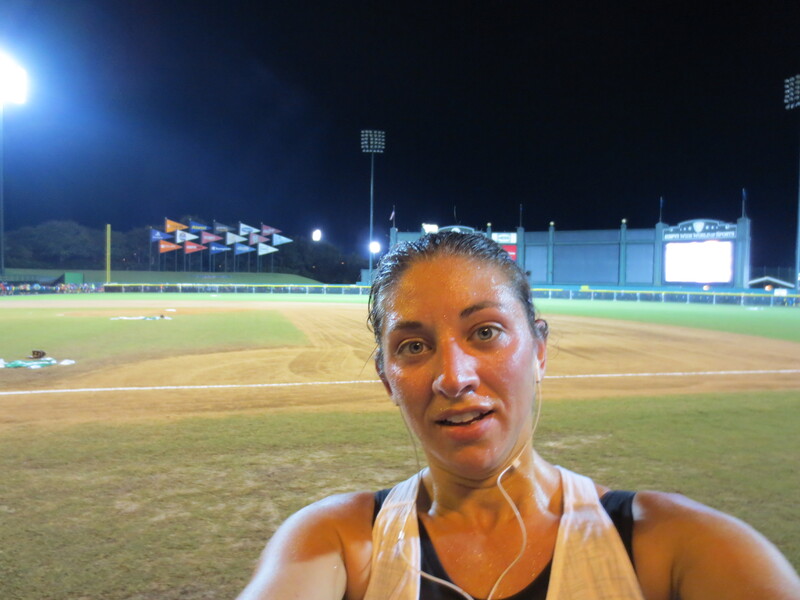 The humidity was suddenly unbearable, sweat was pouring off my forehead and it felt like someone was holding a towel over my face as I was breathing. All I could think was, “this is NOT fun”. I can not tell you how many times I thought about just stopping and walking the whole race (or even better jumping off the course and grabbing a seat with the spectators!). As miserable as I was I think the only thing that kept me moving was the thought of finishing (and I don’t mean finishing as in “yeah, I finished and I got my medal!”, I mean finishing as in “THANK GOD THIS MISERY IS OVER!”). Who’s afraid of the Big Bad Wolf??? …down the Streets of America and Hollywood Boulevard and then FINALLY backstage and to the finish in the shadows of the Tower of Terror! I have NEVER been so glad to reach a finish line (or thankful that this was a 10 miler and NOT a half marathon!). Without a doubt this race took more mental strength to get through than my first FULL marathon last January. Yes, it was THAT bad. 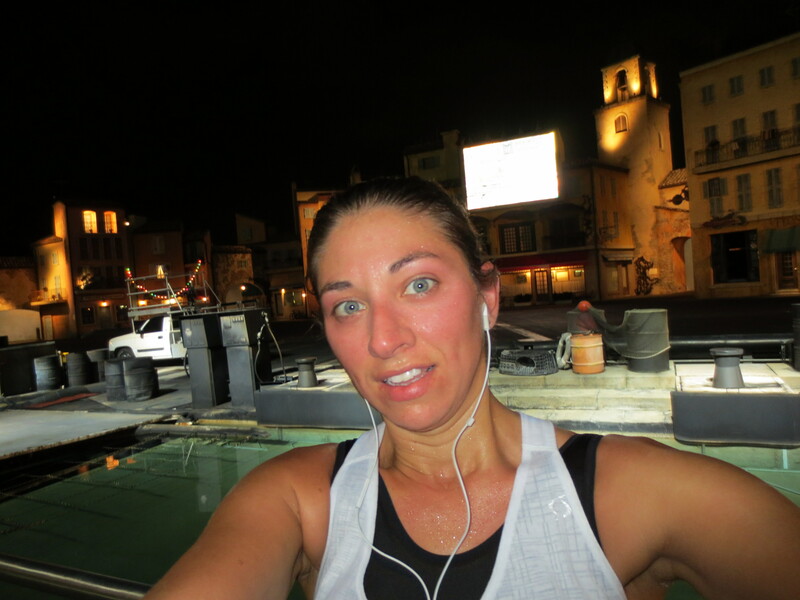 Ugh…humidity is no fun to run in, I agree. I’m glad you didn’t quit though. I think in a few days – you’ll be glad you didn’t quit either!! I’m sure the humidity felt worse since I wasn’t used to it, it’s been great running weather the past few weeks in New York! I’m definitely glad I didn’t give up, I felt like it was good “practice” for pushing through Goofy this January! Agreed. Every race presents challenges we must overcome!!! I admire your determination and guts!!!! It is so true that I am learning that each and every race is different. And even though it was “just” a 10 mile race, a 10-mile race I did this summer was one of my hardest. Harder than the 2 half marathons I did before that. But mark it off as having done it and it’s great that you did make it to the end! Yeah, I’ve been really fortunate to always have good weather for my races, so this was a good learning experience! I agree Danielle! I enjoyed reading your race recap, and you hit the nail on the head regarding so many aspects of the race. I think night races are tough, just because most of us are really used to running first thing in the morning. I never really know how to eat on the day of a night race, despite all of the helpful tips that I read! For some reason, I never put it into practice! The humidity was killing us, in addition to the bag check that made us go down and up the stairs too. Overall, I had fun since we were with a group of girls from work – but I don’t think I would have enjoyed it at all if they weren’t there. Travel safely!! Hi Jean, I’m glad you and your friends had fun! I’m definitely going to try to come up with a better night race eating plan before Wine & Dine! Oh man! The humidity sounds horrific. Way to power through. 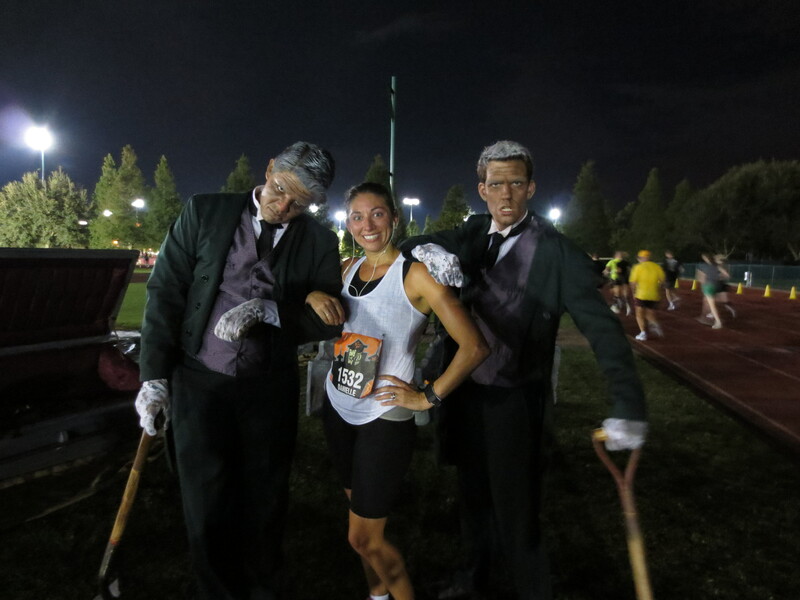 Loved the pic with the grave diggers! 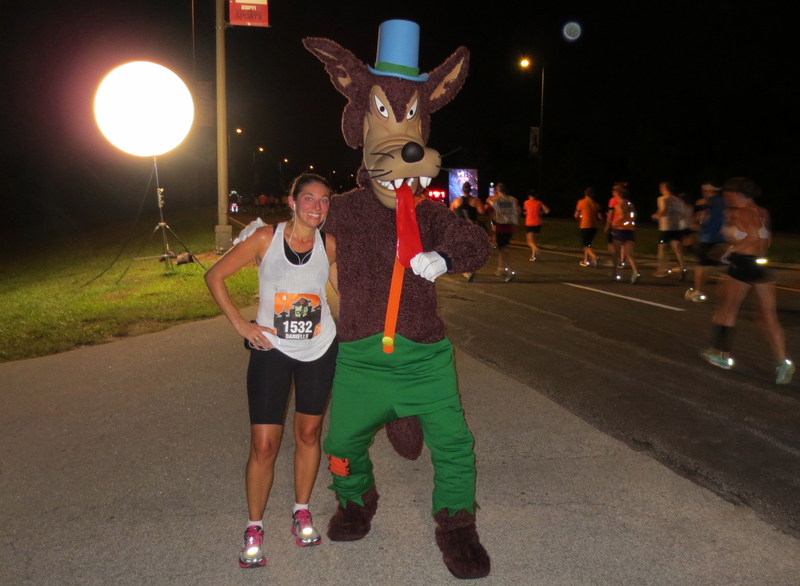 I don’t think I’d have such a hard time at a non-Disney night race…all the good Disney food is just too tempting! 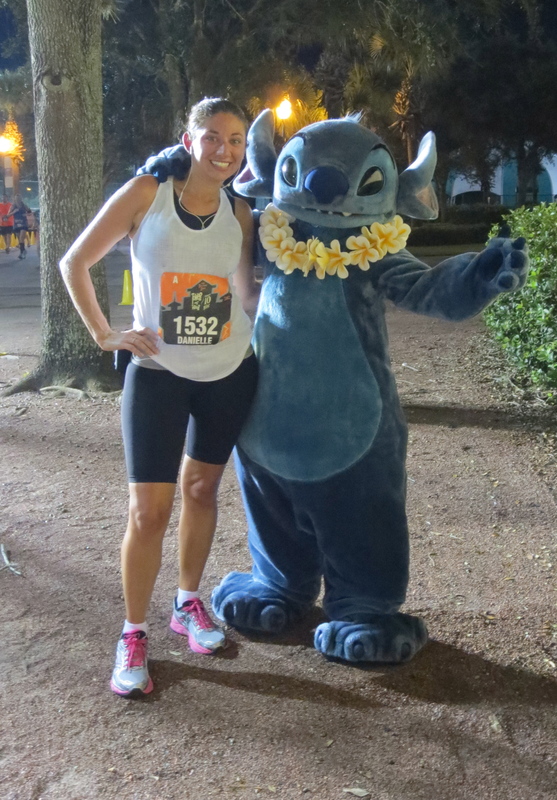 Night races are definitely harder to train for…it’s really awkward to figure out a schedule, and when in Disney, you just want to fit everything in. Glad you still got your medal and finished it out. I’m curious to find other recaps online to hear other people’s thoughs. Oh, that Florida humidity. Haha, yes a PR by default since I’ve never done a 10 mile race before! I’m interested in seeing what other people have to say about the race also, I feel like I didn’t get to fully appreciate the experience since I was so focused on being miserably hot! Hi Sarah, I got my Coast to Coast medal this year – I love it! I’m hoping to work my way towards a full set of runDisney medals too, once I do Goofy in January I’ll still need Tinkerbell, Princess and Everest! Great post! I’ve been looking into doing this run for awhile, just have to save the money to get to Disney. 🙂 I’m glad to see you didn’t quit though you had a number of ‘mistakes’ through out the day. Keep up the good work! 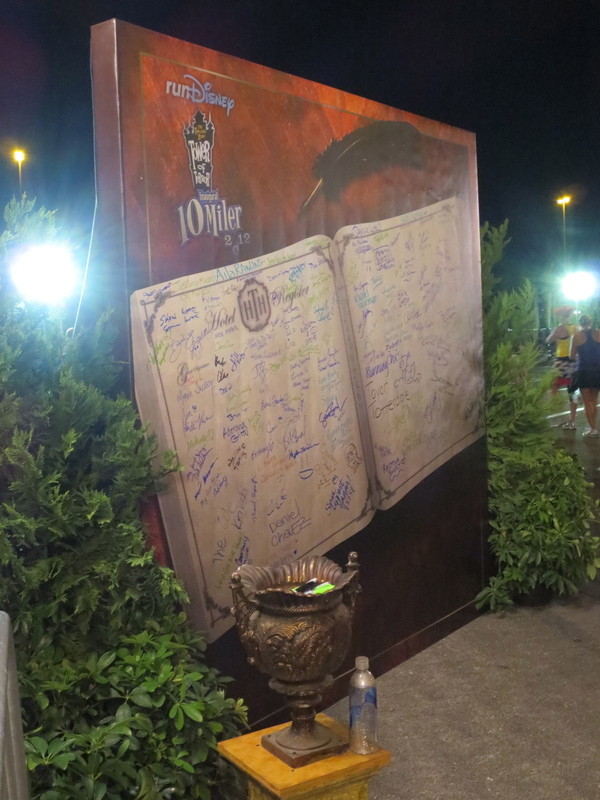 All of the runDisney events I’ve done have been great, I definitely recommend doing one if you ever get the chance! I’m glad I didn’t quit either, this was definitely a character building run! 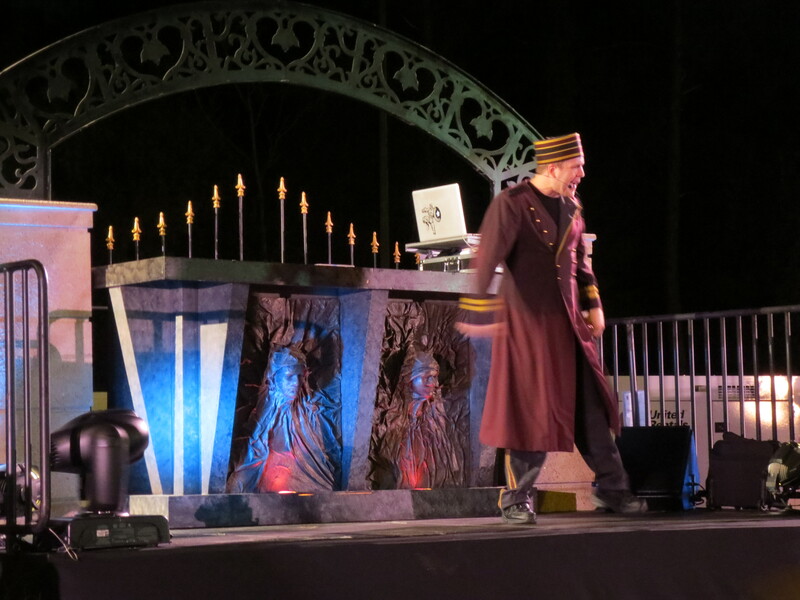 I ran-walked-ran the Tower of Terror that night. It was so humid and I was nauseated the whole time. To make it to the end was a miracle. You had such a great total time! It took me 2 hours and 40 minutes because of the nausea and humidity. I’m not sure I would do it again… for now… but at least we soldiered on and got to the finish to earn our medals! Congratulations! Way to beat the heat! Definitely my most challenging race experience to date! Congratulations on finishing, I know there were a few times I wasn’t sure I was going to…glad I stuck with it though! Even with the mentions of how horrible the heat and humidity were, I think I’d still want to run this race next year. (is that bad? 😉 ) It looks like a great course and I love the photos you got with the characters. I haven’t seen those characters at a race before so it was nice for Disney to mix it up a bit. And I love the idea of the race ending at Hollywood Studios. Thanks for the warning on the pizza though! 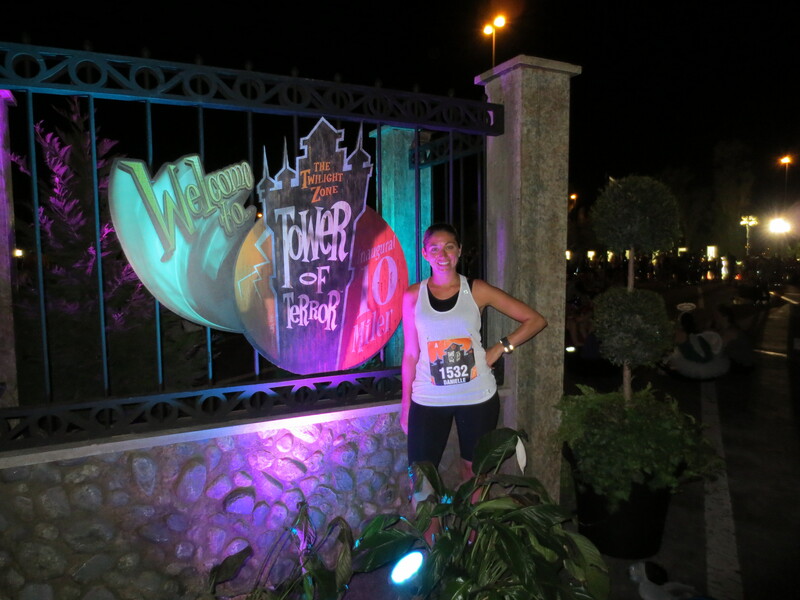 Night races are tough, especially ones that start at 10pm – I never understood that with Disney, it’s dark at 8:30pm too! Thank you for the write up! Hi Meghann – I’d definitely recommend doing the race at some point if you can! It really was a good time, I think the humidity just caught me off guard a bit, I wasn’t expecting it to be quite that bad! I really need to work on my day time eating plan before the Wine & Dine race though! 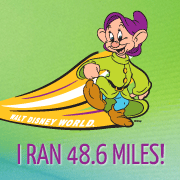 I haven’t done the WDW Half (I’ll be doing it this year as part of Goofy), but I’ve done a few other races and to be honest they all had more park running, more characters and more entertainment than the ToT 10 miler so I’m sure you’ll have a better experience in January! 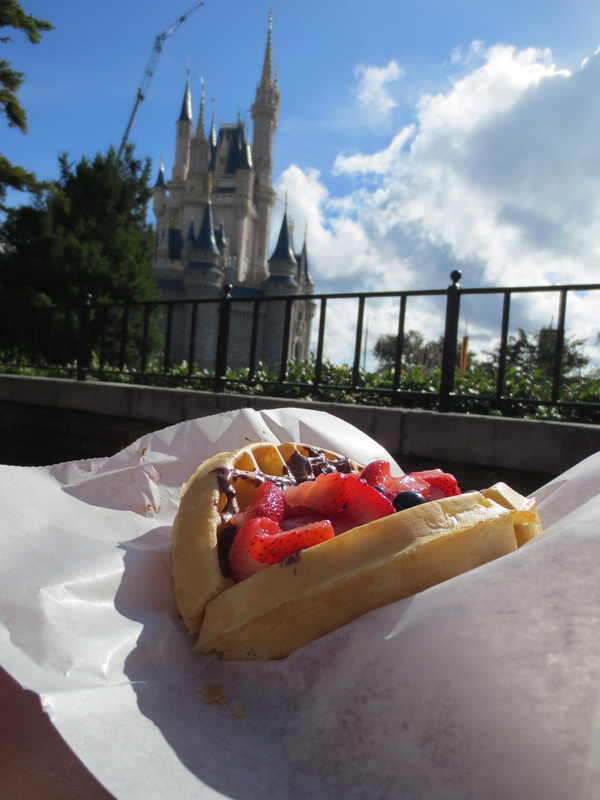 found you thru Eat Sleep Run Disney blog. 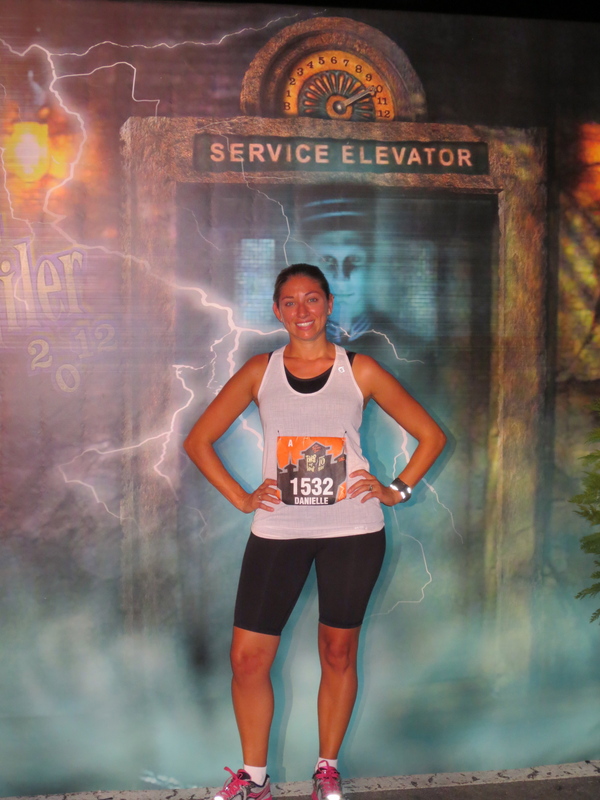 I also did the Tower of Terror 10 mile and was in corral A too! Yeah, the humidity sucked and drained every ounce of energy from us!! I finished in 1:56 and I was pretty happy with that. I loved the race and the course and the different roads we ran on! I would so do it again, but now i’m saving up for Tinkerbell 2014 and Princess 2014 for the Coast to Coast! Looking forward to hearing about your Yoga experinces! Hi Jennifer, thanks so much for stopping by! 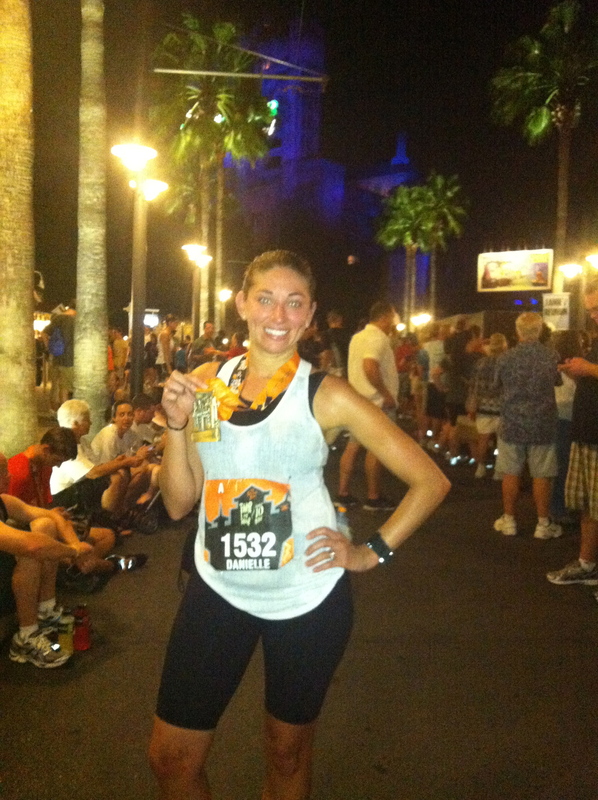 Tower of Terror was definitely a rough one for me but I’m glad I pushed through and finished! I haven’t done either Tinkerbell or Princess, but hopefully sometime in the future!